Gig Harbor wasn’t always a bustling maritime city filled with restaurants, parks, distilleries, breweries, or even an IMAX movie theater. In fact, at one time, the Gig Harbor estuary was covered in nothing but trees and teeming with all sorts of wildlife. In the early 1800s, the region was home to a variety of Native American residents—most prominently the Puyallup, Nisqually, and Squaxin tribes—all which came from the S’Homamish people of the Pacific Northwest. Their settlement? The current home of Donkey Creek Park, right where Donkey Creek meets the Harbor. In the mid-1800s, an American expedition exploring the West Coast and mapping the Puget Sound discovered Gig Harbor and gave it its name. And over the next few decades, the area began to fill up with adventurous European settlers looking to make a life for themselves in the beautiful and yet uncharted United States. The majority of these settlers were of Scandinavian and Croatian descent. Although Gig Harbor has changed a lot over the last 150 years, some things still remain the same. It’s still a beautiful estuary abundant with wildlife, boats, and passionate and diverse residents who continue to enjoy the splendor of the great Pacific Northwest. 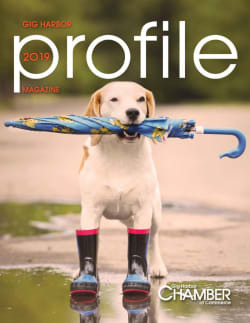 Our 2019 Profile Magazine is a great resource for visitors and people looking to relocate to Gig Harbor. Learn all about what life in Gig Harbor looks like. 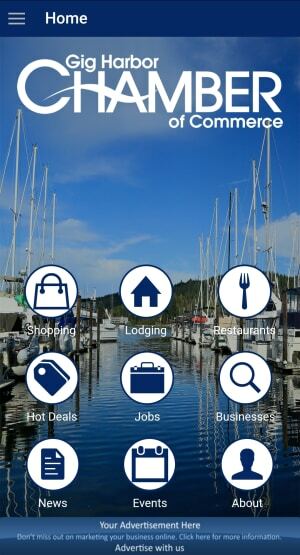 If you're looking for places to eat, stay, or explore, be sure to check out our Go Gig Harbor app, available for Apple and Android.